Good news for shareholders… financials released yesterday show that DISH had a great fourth quarter of 2016. They added over 28,000 subscribers, had growing income and profits, and all of this is a huge contrast over their fourth-quarter-15 numbers. What’s not known is how many of those additions are from Sling TV, since DISH reports all subscribers together. Additions from Sling TV are great and they’re probably the future, but they represent a smaller income stream for the company and that will eventually drive profits down. Both DISH and AT&T (parent of DIRECTV) are betting heavily on streaming services. It’s a pretty safe bet, since customers seem poised to reject $100+ monthly pay-TV bills and seem relatively content to rely on streaming. While giving customers what they want is almost always a winning strategy, it’s important to note that both companies have spent billions on satellite infrastructure and stand to lose massively if they migrate their customer bases to streaming too quickly. DISH is probably better positioned to make a strong move into streaming, for two reasons: first their Sling TV service enjoys a long headstart over AT&T’s DIRECTV NOW, which is still struggling with some of the growing pains that plagued Sling TV in the first months. These are of course temporary setbacks, not long-term ones. More importantly, DISH’s lack of spending on proprietary satellites and frequency licenses in the last decade might actually help them. While DIRECTV acted to secure a huge range of frequencies, the most desirable satellite locations and launched the largest communications satellites in the history of mankind, DISH contentedly made do with less expensive locations and when needed, leased space on other people’s satellites. This strategy may have slowed their growth in the 2000s but today it may mean more available cash and a smaller investment in satellites to recoup. 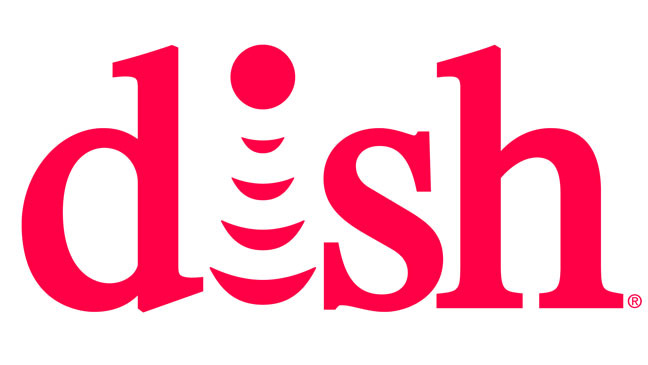 ENGLEWOOD, Colo.–(BUSINESS WIRE)– DISH Network Corporation (NASDAQ: DISH) reported revenue totaling $3.72 billion for the quarter ending Dec. 31, 2016 compared to $3.78 billion for the corresponding period in 2015. Net income attributable to DISH Network totaled $343 million for the fourth quarter 2016, compared to a loss of $125 million from the year-ago quarter. Diluted earnings per share were $0.70 for the fourth quarter, compared to a loss of $0.27 cents per share during the same period of 2015. DISH includes all of its DISH and Sling branded subscribers in the company’s total Pay-TV metrics, including in the Pay-TV subscriber, Pay-TV ARPU and Pay-TV churn rate numbers set forth below. Sling TV subscribers are reported net of disconnects in our gross new Pay-TV subscriber activations. In the fourth quarter, DISH activated approximately 694,000 gross new Pay-TV subscribers, compared to approximately 661,000 gross new Pay-TV subscribers in the year-ago period. Net Pay-TV subscribers increased by approximately 28,000 in the fourth quarter, compared to a loss of approximately 12,000 in the fourth quarter of 2015. For the year, DISH reported 2016 total revenue of $15.09 billion compared to $15.07 billion in 2015. Subscriber-related revenue in 2016 was $15.03 billion, compared to $14.95 billion in 2015. Net income attributable to DISH Network in 2016 was $1.45 billion compared to $747 million in 2015. Diluted earnings per share were $3.05 in 2016, compared with $1.61 in 2015. The company closed the fourth quarter with 13.671 million Pay-TV subscribers, compared to 13.897 million Pay-TV subscribers in the fourth quarter of 2015. Our ending Pay-TV subscriber count increased by approximately 166,000 subscribers during the third quarter 2016 as a result of the change in our calculation for our commercial accounts. This had no impact on our gross new Pay-TV subscriber activations or net Pay-TV subscriber losses for the year ended Dec. 31, 2016. Pay-TV ARPU was $88.66 during 2016 versus $86.79 in 2015. Pay-TV average monthly subscriber churn for 2016 was 1.83 percent compared to 1.71 percent in 2015. Detailed financial data and other information are available in DISH Network’s Form 10-K for the year ended Dec. 31, 2016, filed today with the Securities and Exchange Commission. DISH Network will host its fourth quarter and full-year 2016 financial results conference call today at noon ET. The dial-in numbers are (800) 708-3128 (U.S.) and (312) 429-1278. A webcast replay will be available on DISH’s Investor Relations website, DISH Network – Investor Relations – 1.888.825.2557, today from 6 p.m. to 12 a.m. ET. DISH Network Corp. (NASDAQ: DISH), through its subsidiaries, provides approximately 13.671 million pay-TV subscribers, as of Dec. 31, 2016, with the highest-quality programming and technology with the most choices at the best value. DISH offers a high definition line-up with more than 200 national HD channels, the most international channels and award-winning HD and DVR technology. DISH Network Corporation is a Fortune 200 company. Visit DISH Official Site – Satellite Television Provider.